POMEROY — A lawsuit filed on behalf of Meigs County against specific defendants involved in the prescription drug industry, has been filed in Meigs County Common Pleas Court. 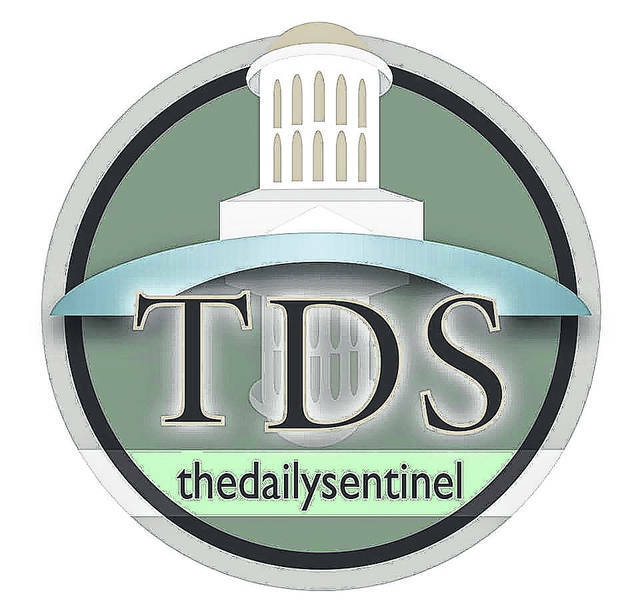 On Wednesday, a copy of the lawsuit was obtained by The Daily Sentinel from the office of Attorney Ethan Vessels, of Fields, Dehmlow & Vessels of Marietta, Ohio, the firm the Meigs County Commissioners retained last month. The firm will be assisted by Marc J. Bern & Partners, LLP, of New York, New York. The suit requests a jury trial in Meigs County. As previously reported, similar cases have been consolidated under U.S. District Judge Dan Polster in Cleveland, Ohio. He reportedly is pushing the companies and governments to reach a settlement, but also has scheduled trials for the case from Summit County and some other places for next year. They would serve as test cases for rulings in other lawsuits. The 133-page filing on behalf of Meigs County as the plaintiff, states the defendants as follows: Purdue Pharma L.P.; Purdue Pharma Inc.; The Purdue Frederick Company; Inc.; Teva Pharmaceuticals USA, Inc.; Cephalon, Inc.; Johnson & Johnson; Janssen Pharmaceuticals, Inc.; Ortho-McNeil-Janssen Pharmaceuticals, Inc. n/k/a Janssen Pharmaceuticals Inc.; Janssen Pharmaceutica, Inc. n/k/a/ Janssen Pharmaceuticals; Endo Health Solutions, Inc.; Endo Pharmaceuticals, Inc.; Allergan PLC f/k/a Actavis plc; Allergan Finance, LLC f/k/a Actavis Inc.; Watson Laboratories, Inc.; Actavis LLC; Actavis Pharma, Inc. f/k/a Watson Pharma, Inc.; Allergan Finance; Mylan Bertek Pharmaceuticals Inc.; (collectively, “Manufacturers” or “Defendants”); Cardinal Health, Inc.; Kroger Limited Partnership II; Miami-Luken, Inc.; Rite Aid of Ohio, Inc.; Walgreen Co.; McKesson Corporation; AmerisourceBergen Drug Corporation; CVS Indiana, L.L.C. ; Wal-Mart Stores East LP (collectively, “Distributor Defendants” or “Defendants”); and Brandon Worley; and Donald Leathers (“Sales Representative Defendants” and “Defendants”). The introduction of the lawsuit alleges the defendants knew opioids are too addictive and too debilitating for long-term use of chronic non-cancer pain lasting three months or longer. It also alleges the defendants knew that, with prolonged use, the effectiveness of opioids wanes over time, requiring increases in doses to achieve pain relief and markedly increasing the risk of significant side effects and addiction. The lawsuit also contains statistics which attempt to track the trend of overdose deaths in the United States. “In 2016, approximately 64,000 people died from drug overdoses in the United States, more than the peak yearly death tolls from car crashes, HIV deaths, or gun deaths. Sixty-six percent of the drug overdose deaths in 2016 involved opioids, with the total deaths involving opioids taking more lives than breast cancer. The total overdose deaths in 2016 were 10,000 more than in 2015,” the filing states. With no reported time frame on the case’s outcome as of yet, Meigs Commission President Randy Smith said he had the impression this lawsuit, and others like it, will be similar to the class action C8 lawsuits, over time. He explained the lawsuit filed on behalf of Meigs County was also similar to the ones filed on behalf of other governmental entities which were suing specific companies and individuals involved in the pharmaceutical industry to recoup financial losses sustained from the opioid epidemic. He explained those losses include, but are not limited to, increased financial pressures and strains on the foster care system, the judicial system, law enforcement and EMS resources and agencies within the county budget typically untouched. For example, Smith said commissioners were recently asked to allocate an additional $15,000 for the budget year for the county coroner’s office. There’s been a “spike” in requests for things like body bags and the costs of autopsies. Smith said it would be accurate to say Meigs County has lost millions of dollars from the strain on county services from the opioid epidemic, just in the last five years. Still, Smith said the county has nothing to lose by filing the lawsuit and everything to gain if they would win a judgment. If the county would lose the case, they would not be out any money with attorneys being paid a portion of the judgment only if one is awarded. Smith said if a judgment would be rendered in the county’s favor, in addition to recovering costs for lost resources, he hopes to see some of that money go into local Board of Alcohol, Drug Addiction and Mental Health Services efforts meant to fight addiction as a proactive step in increasing treatment options. Similar actions have been taken by both the Mason County and Gallia County commissioners in the local readership area.